Directed by James Ivory. 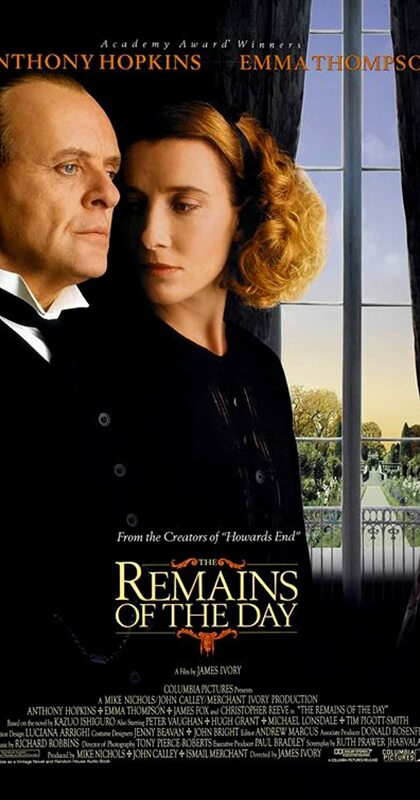 With Anthony Hopkins, Emma Thompson, John Haycraft, Christopher Reeve. A butler who sacrificed body and soul to service in the years leading up to World War II realizes too late how misguided his loyalty was to his lordly employer.